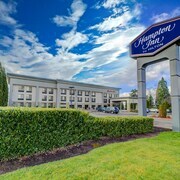 Situated in Gresham, this hotel is within 1 mi (2 km) of Gresham Golf Course and Mt Hood Community College - Gresham Campus. Mt Hood Community College Planetarium and Columbia Gorge Premium Outlets are also within 3 mi (5 km). Cleveland Avenue Station is 25 minutes by foot. 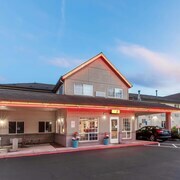 Situated in Gresham, this hotel is within 1 mi (2 km) of Mt Hood Community College - Gresham Campus, Mt Hood Community College Planetarium, and Gresham Golf Course. 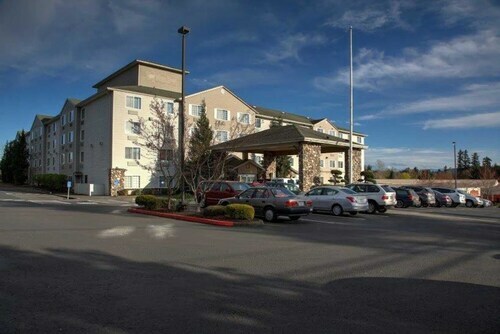 Columbia Gorge Premium Outlets is 2.5 mi (4 km) away. Cleveland Avenue Station is 30 minutes by foot. 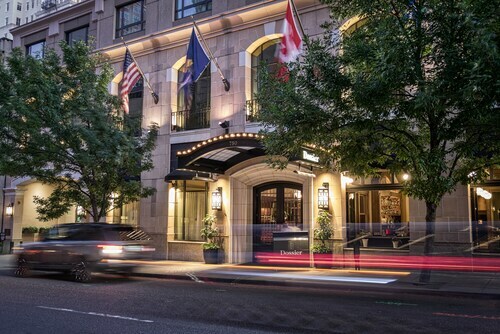 Downtown boutique hotel adjacent to light rail; close to Tom McCall Waterfront Park; within 4 blocks of Portland Art Museum. 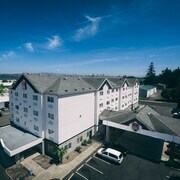 How Much is a Hotel Room in Gresham? 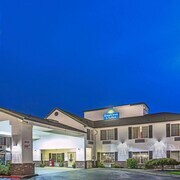 Hotels in Gresham start at $72 per night. Prices and availability subject to change. Additional terms may apply. Red bricks and bike spokes – this is what Gresham, Oregon, is all about. It’s a place to release all those everyday cares and focus instead on the luminous shades of pink the local flowers display, and the welcoming sense of home that the residents provide. If you find yourself in a brick-lined restaurant with a glass of wine in hand, gazing out through the window panes, you’ve experienced the city in the best way. Come, traveler, and find that window seat. 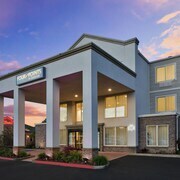 Reserve one of our hotels in Gresham and see what this Oregon refuge is all about. You’d be surprised to learn that Gresham is Oregon’s fourth-largest city, given its easygoing atmosphere, but it is. And that means it plays host to musical events like the Mt. Hood Jazz Festival and artistic celebrations like the Gresham Arts Festival. 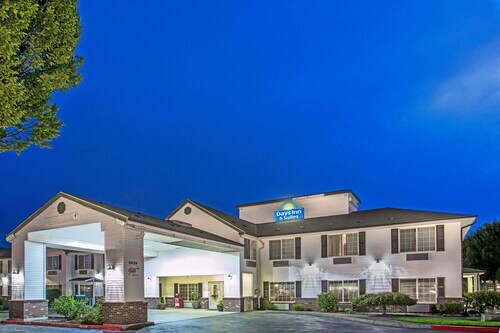 Select a painting that speaks to your soul and keep it safe at your choice of Gresham motels. When you’re feeling a bit puckish, slip into one of our Gresham rental cars and cruise downtown. Choose a restaurant with canvas umbrellas covering the patio and order some local seafood crusted in regional hazelnuts. As you’ll discover, some towns perpetually feel like a delightful Sunday afternoon, and Gresham is one of these places. Let go of your schedule and office calls; it’s time to get back to a slower-paced life in Oregon. 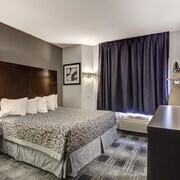 Turn to Travelocity to help you with the best deals on Gresham hotels, so you can order an extra serving of chocolate hazelnut dessert to complement your sweet trip. And if you want to wander to Gresham’s big sister city of Portland, we’re here to help you with your journey. 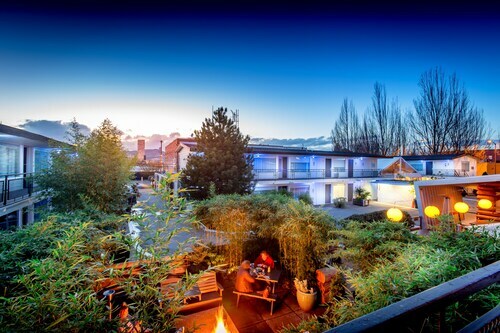 Find the hotels in Portland that speak to you, and we’ll see you amongst the forest greens. The room was on the small side, but the beds were very comfortable. The room was large and comfortable. I love all the seating areas and common spaces to relax and regroup between outings. 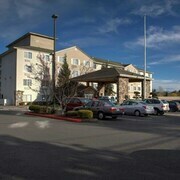 Beautiful property, comfy rooms and great staff. Enjoyed very much, will stay again. Perfectly centralized in downtown. We stayed in the new Jupiter called NEXT. And it was beautiful! We loved the modern look and how fresh and clean it was. The staff was excellent! They were friendly and helpful. Always smiling and ready to help. The little restaurant and the bar were both great and had really good food. The fire place in the lobby was a fantastic touch. It made the place feel warm and inviting. The room was beautiful. The only thing we didn't especially love is the bathroom was all encased in frosted glass, no walls, just frosted glass. Although it was pretty, it was fairly see through. So of you were trveling and sharing a room with a friend, it could make it uncomfortable to shower or go to the bathroom while they are in the room. Otherwise it was an amazing experience. Very nice hotel, Lobby is nice room was very nice. The room was very clean and comfortable. Some furniture was a little dated, but what I would expect from most hotels. 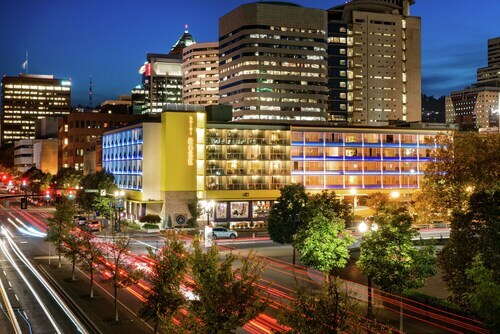 The hotel is very convenient to a lot of downtown events and restaurants. The new addition of Mother's Bistro & Bar is great and their food is fantastic! Budget 4135 West 12Th St.